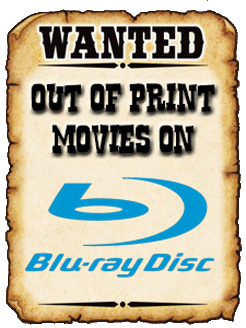 THE B-MOVIE NEWS VAULT: STOCK YOUR VAULT: New DVDs for 11/13/2018! Welcome to yet another edition of the News Vault's weekly STOCK YOUR VAULT! This week is an expensive one Vault Dwellers and chock full of cool exploitation oddities, so I hope you've been saving up! Scream Factory releases a new Blus of SINGLE WHITE FEMALE and a double feature of NAKED VENGEANCE & VENDETTA, Arrow Video adds another H.G. Lewis classic to their catalog, namely THE WIZARD OF GORE, and Warner Archive Collection brings TARZAN'S GREATEST ADVENTURE and THE SATANIC RITES OF DRACULA to Blu-ray! All three RAMBO films made their 4K UHD debuts today, Unearthed Films brought THE HOUSE OF FORBIDDEN SECRETS to DVD & Blu-ray, AGFA debuts Ed Wood's TAKE IT OUT IN TRADE in HD, and Mondo Macabro hits us with three new Blu-ray titles: BLOODLUST, THE INHERITORS, and PERVERSION STORY. 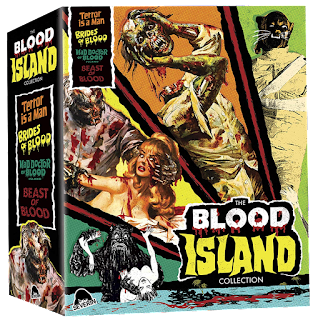 But Severin Films truly outdoes the others this week with their release of the (Limited to 3,500) BLOOD ISLAND COLLECTION! This set features new uncut 4K transfers of TERROR IS A MAN, BRIDES OF BLOOD, MAD DOCTOR OF BLOOD ISLAND, and BEAST OF BLOOD (a box set exclusive), plus lots of new and archival extras AND a bonus soundtrack CD! But if this set is too rich for your blood, you can get each film separately (excluding BEAST OF BLOOD) on Blu-ray or DVD! There's still a lot of other new releases out this week, so be sure to scroll down for the complete roster!